Think Tank Photo recently made a tiny change (really a couple tiny changes) to a product that’s so simple, and I’m impressed. 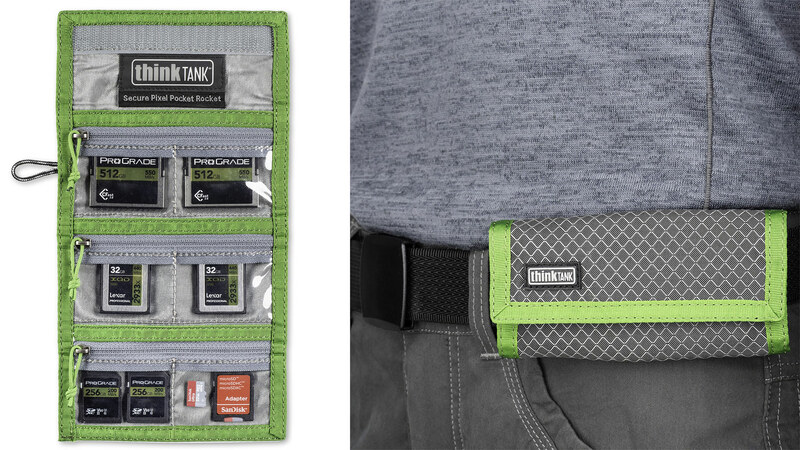 For years I have used the Think Tank Photo memory card wallets, like the Pixel Pocket Rocket. I’ve used wallets that hold Compact Flash cards, Compact Flash and Secure Digital cards, and only Secure Digital cards. I have the pleasure of now owning one of these wallets, thanks to Think Tank Photo, and have now made it my main memory card wallet. As a bonus, I discovered that each pocket can hold way more memory cards than what Think Tank Photo says. Of course, that makes the wallet bulkier. But that’s OK because I usually keep it in my camera bag. But I will surely be using it on my belt next to my Spider Holster, here and there. So call me impressed — even with such a simple change to a simple product.